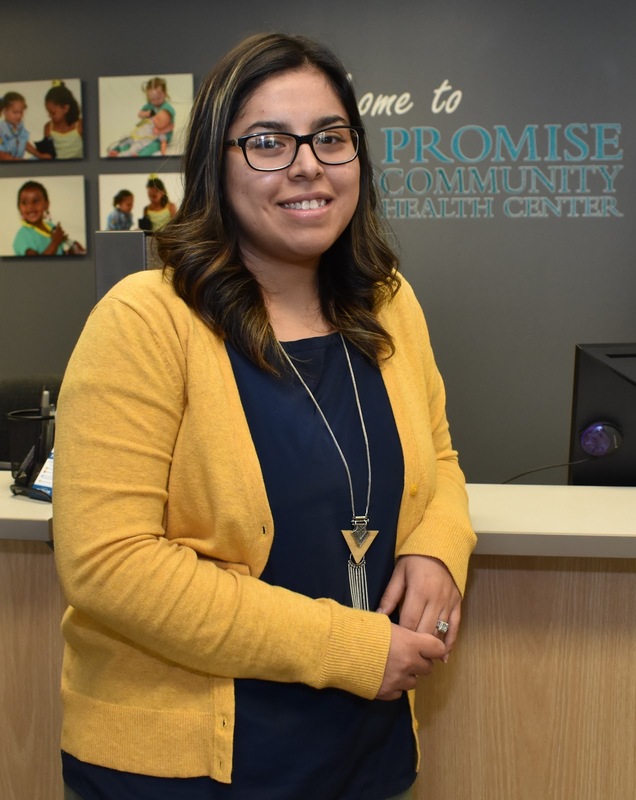 SIOUX CENTER – Mayra Ortiz wants everyone to feel welcome as they walk into Promise Community Health Center in Sioux Center. She also wants to bring a passion for helping people in need. Mayra, who is bilingual in English and Spanish, recently assumed the role of receptionist at Promise. 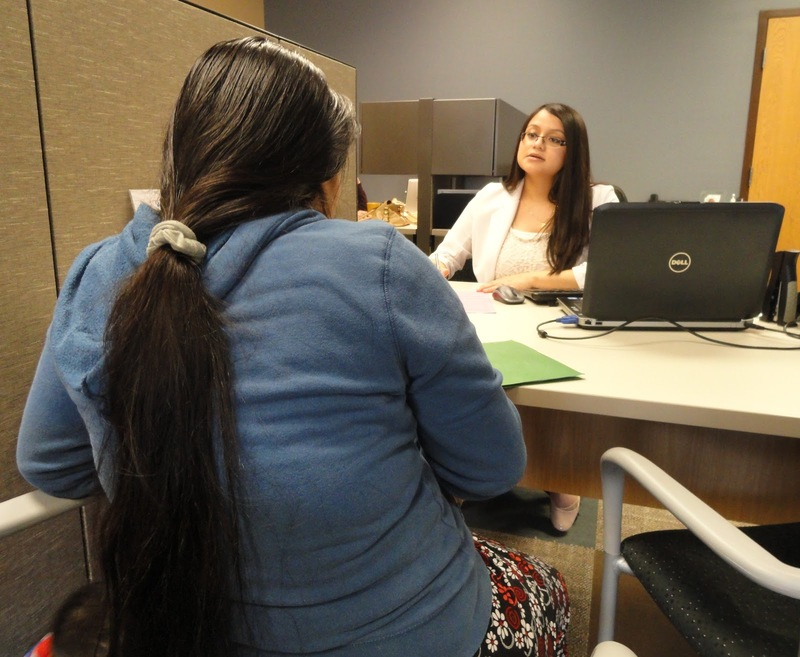 Mayra, who grew up in Sioux Center and graduated from Sioux Center High School in 2011, brings a variety of customer service experience to the the position. She worked as a cashier during high school at Las Palmas Mexican Grocery in Sioux Center. She served as a customer service teller at Northwest Bank in Sioux Center, 2015-16. After attending classes for a year at Northwest Iowa College in Sheldon, she started working as a customer service representative at Staples Promotional Products in Orange City in March. She thought her background would make her a good fit for the receptionist position at Promise. “Being the first person to help the patients when they walk in and making them feel welcome has always been important to me,” she said. Mayra Ortiz lives in Sioux Center and has two children, Madison, 5, and Mateo, 1. In her spare time, she enjoys staying at home and watching movies with her kids and spending time with her family. 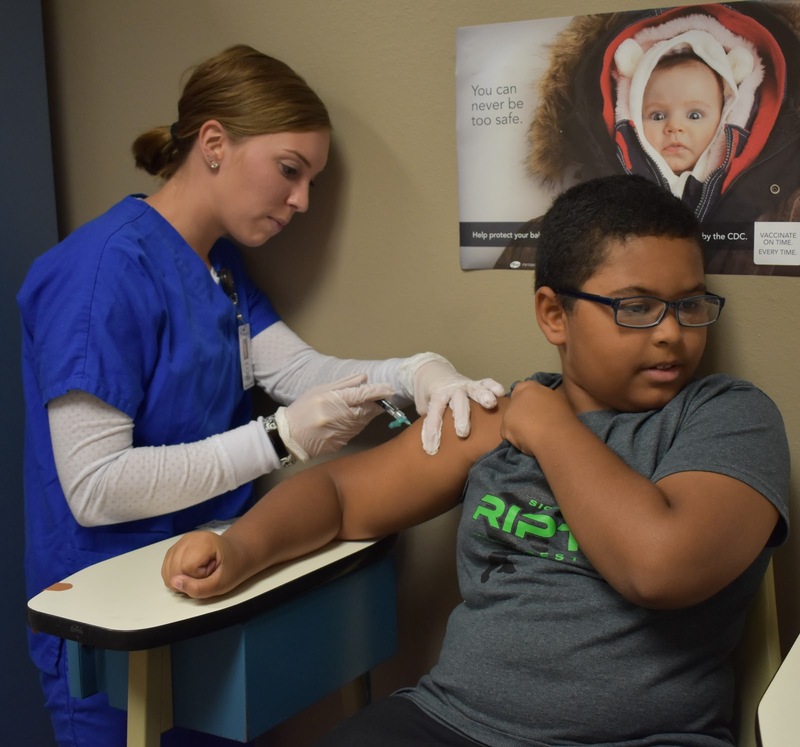 SIOUX CENTER – Promise Community Health Center’s first two Flu Vaccine Clinics were so popular this fall that it has decided to offer a third. appointments necessary. Just walk in. 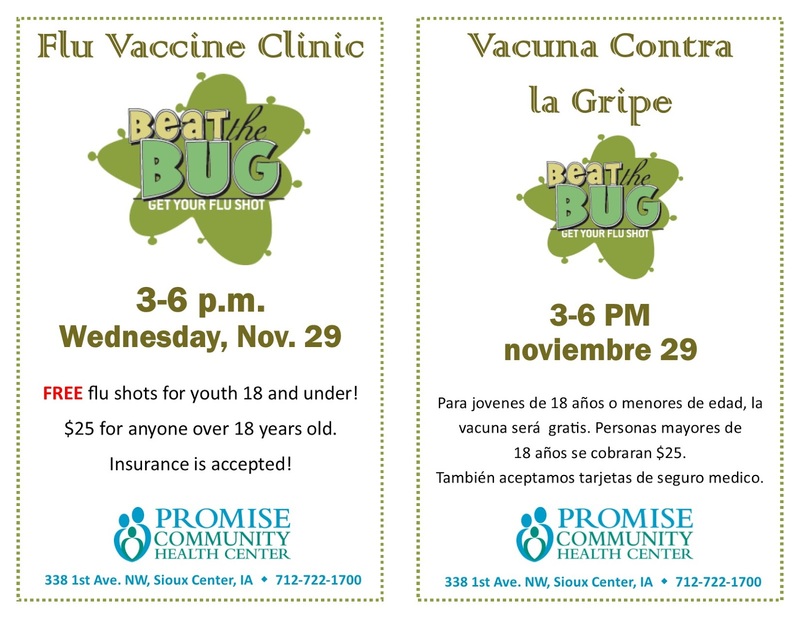 The flu vaccines will be offered 3-6 p.m. Wednesday, Nov. 29, at Promise, located at 338 1st Ave. NW, Sioux Center, across from the Sioux Center city hall. No appointments are necessary. People can walk in at any time during the flu clinic. Promise provided 38 flu vaccine shots on Sept. 27 and 83 on Nov. 1 for a total of 121 – a rate of one shot every three minutes. According to the Centers for Disease Control, influenza is a serious disease that can lead to hospitalization and even death in rare cases. The annual flu season can begin as early as October and last as late as May. Since 2010, the CDC has estimated that, nationwide, hospitalizations caused by influenza have ranged annually from 140,000 to 710,000 and flu-related deaths from 12,000 to 56,000. The annual vaccine protects against the influenza virus strains that research has indicated will be the most common during the upcoming flu season, according to the CDC. People are protected against those infection strains after antibodies are developed in the body about two weeks following the vaccination. The flu vaccine cannot cause influenza.